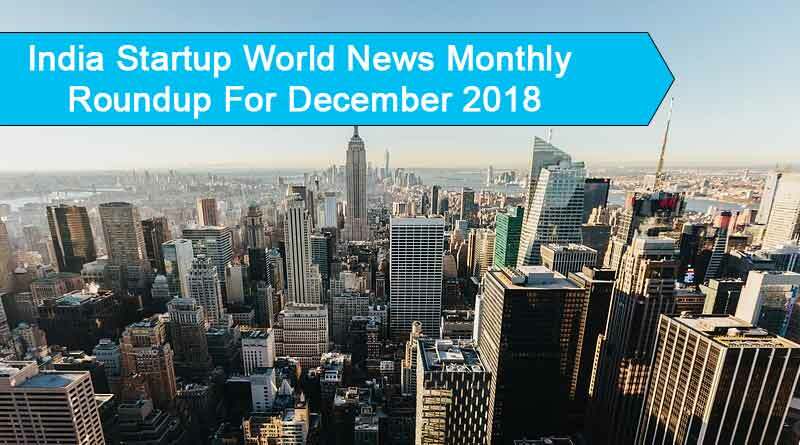 Here is the India startup world news monthly roundup for December 2018. With this monthly capsule, you can know in and out of the happenings of the Indian startup world that took place in the month of December 2018. – Bloom Hotels has raised an additional Rs.100 crore from Samena Capital, which had also invested Rs.100 crore in April 2018. Bloom Hotels currently operates 8 hotels. – DesignCafe, an online interior design platform, has raised Rs.200 Crore led by WestBridge. – Swiggy has raised a fresh capital of $1 billion, its largest funding round so far. After this round, Swiggy has become the fifth most valuable startup in India at a valuation of $3.3 billion. – Portea has raised Rs.25 crore in venture debt from Alteria Capital. – Sapphire Foods, Yum! Brand’s largest franchisee of in India has raised Rs.225 crore in a fresh round of funding led by Edelweiss. – LetsTransport, a trucking logistics platform, has raised Rs.100 Crore in a series B round of funding with Bertelsmann India and an undisclosed Japanese investor. – Shop101 has raised Rs.80 Crore in a series B round of funding led by Kalaari Capital and Unilever Ventures. – Ola has agreed to invest an additional $100 million in Vogo, a scooter-sharing start-up. With this investment, Ola will become Vogo’s largest shareholder with a stake of around 30%. – Samana Global Business Solutions is raising its first fund, Samana Global Fund, of Rs 4,000 crore to invest in hospitality, healthcare, IT, retail and real estate sectors. Samana currently has investments of around Rs.900 Crores in restaurants, hospitals and retail outlets in Kerala. – Toppr, an education tech startup, has raised $35 million from Kaizen and its existing investors. The firm is looking to raise another $80-100 million to take on Byju’s. – Vivriti Capital, a lending platform for corporate entities, has raised Rs.200 Crore in a series A round of funding. Funds will be used to strengthen technology platform and onward lending. – Entrust Family Office has closed two deals with Connect India E-commerce and Sreyas Holistic Remedies. Entrust claims to represent a number of entrepreneurs and families with cumulative assets of Rs.8000 Crore. – Sequoia Capital is selling around 7% of its stake in Byju’s for around $185-190 million to Naspers and General Atlantic. Sequoia currently holds around 20-22% stake and invested $50 million across various rounds. – MagicLabs has raised $23 million funding led by Accel Partners and IFC. Binny Bansal is set to launch a new tech-backed firm called xto10x Technologies. The firm will offer to consult to growth-stage startups. – NinjaCart has raised Rs 250 crore in a Series B round of funding led by Accel Partners and Syngenta Ventures. Till date, it has raised around $49 million. – CDC Group, owned by the UK Government, has committed $25 million to the third PE fund of Lighthouse. Lighthouse earlier raised its first fund of $100 million and the second of $135 million. It has invested in 17 companies till now. – Roposo, a social media app, has raised $10 million in a series C funding round from its existing investors Tiger Global Management and Bertelsmann India Investments. – Byju’s has raised $400 million in a new round of funding at a valuation of around $4 billion. – Licious, Gourmet meat start-up, has raised $25 million in the series D funding round led by Nichirei Corp. Funds will be used to expand operations in seven new cities. – IndiGrid, an infrastructure investment trust, has started roadshows to raise a fresh capital of Rs.2,500-3,000. It had raised ₹2,250 crore through IPO in May 2017. – WheelsEMI, a lender focused on used two-wheeler financing, has raised funding of Rs.100 crore led by Faering Capital. – A startup lobby group is in discussions with the government to allow homegrown entities to list their services on Government’s e-marketplace so that Central and State governments can purchase from them. This will also make the process of stock market listing easier. – Zomato has entered into the events space and has launched Zomato Events. Japan’s Sansan, professional card managing app, has raised approx. 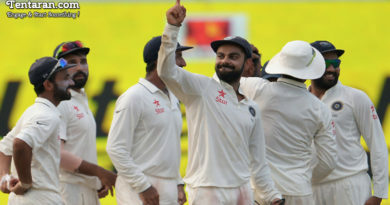 $26.43 million to aid India growth. It reportedly has around 100,000 registered users in India and around 2 million across Japan and Singapore. – Quikr has raised Rs.55 Crore from Inno Ven Capital through venture debt. Funds will be used to scale business at various verticals. – Facilio, offering facilities management to real estate owners, has raised $6.4 million in a Series A round of funding led by Tiger Global Management and Accel. Tiger Global had stopped investing in India for the last two years after selling their stakes in Ola and Flipkart. – Amazon India has received another infusion of Rs.2,200 Crore, taking the total funding received so far to Rs.27,290 Crore. – Fusion Microfinance has raised Rs.520 crore in a funding round led by Warburg Pincus. This is the first investment of US private equity firm in India’s microfinance sector. – MoEngage, a Marketing cloud platform, has raised $9 million in a Series B round of funding led by Matrix Partners and Ventureast. It offers an ML-based enterprise solution for better ROI for marketing. – SoftBank has reportedly offered to invest an additional $1 billion in Ola. However, Ola may prefer a smaller amount to avoid giving out more stake. – Reportedly, Go-Ventures is finalizing a $30 million financing round in Mobile Premier League, a domestic mobile gaming company. Go-Ventures is the investment arm of Go-Jek, one of the most valuable startups of Indonesia. – UrbanClap has raised $50 million in a Series D round of funding led by Steadview Capital and its existing investor Vy Capital. The firm has so far raised around $60.7 million. For more details on India startup world news monthly roundup for December 2018 and related updates, do Subscribe to our newsletter and follow us on Facebook, Twitter and Google+.